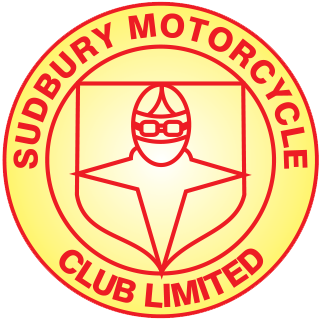 Welcome to the Sudbury Motor Cycle Club Limited, established in 1958, we are one of the largest clubs in the Eastern centre. 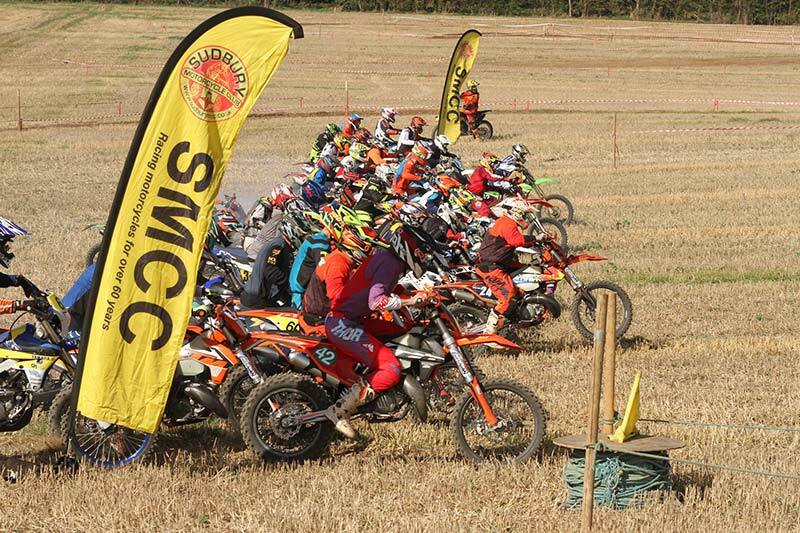 We are primarily an enduro based club, but we do occasionally hold motocross races. We are lucky to have some of the top names riding and representing us, but we equally welcome and support novice riders too. We are also passionate about developing new talent and have a youth class at most events. Above all people choose to join our club because of the friendly supportive atmosphere and the fantastic venues and social activities. If you are completely new to off road motorcycling, changing discipline or looking for a club in the Eastern centre, we welcome all new members from beginners to experts. JIM AIM AND G.H. MOTORCYCLES. Both shops offer perks to members of the Sudbury club, they offer extensive parts, clothing, accessories and workshop facilities, and are both happy to help wherever possible. For information on the specific benefits you will need to contact the shops directly .Jim Aims Motorcycles are contactable on 01376 402006, and G.H. Motorcycles are contactable on 01206 791155. 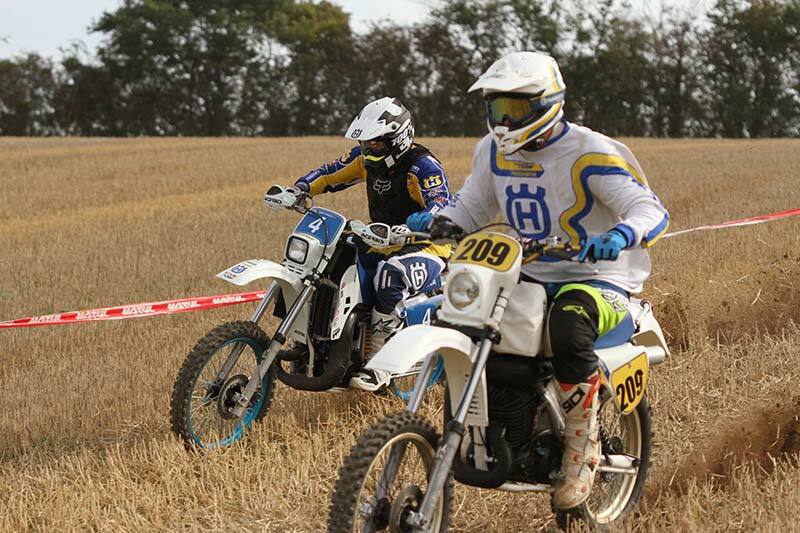 TWO-MAN ENDURO – As the title infers it is done with a team mate. The objective is to do as many laps as you can in a session (e.g. ½ an hour). You then swap with your team mate, hand over your time card and they then do the same. This is repeated for the allocated number of sessions (usually 2 each in the morning and 2 each in the afternoon with a break for lunch). You get penalties, if you run over your allotted time for your session. A two-man competition is probably the best way for anyone to get started in Enduro. SOLO-ENDURO – Is an individual against individual race. You will need to complete several single laps of a circuit each within an allocated time session the length of which will vary and the allocated time will get shorter in the final sessions. What class you are in determines the amount of laps that you are given to do. A certain number of laps (often the first two) will have a designated part of the track which will form a “special test” where your test times are recorded. A time card or automatic timing system is employed to record what time any individual went through the time check at the end of every lap. If several riders clean their lap within the same time the special test times are used to determine the places. HARE AND HOUNDS. Basically you will be given a set start time and finish time and you complete as many laps as you can within that allotted time. Different clubs do this in different ways, some do 4 hours straight through, others 3, others will do 2 hours with a lunch break followed by a further 2 hours. MOTOCROSS. Several riders all start together in a line and go around a fairly short course filled with obstacles like jumps and whoops, the objective is to be the first past the finishing line after a set time (e.g. 15minutes) and complete the most laps, there are generally 3 or 4 races for each class. 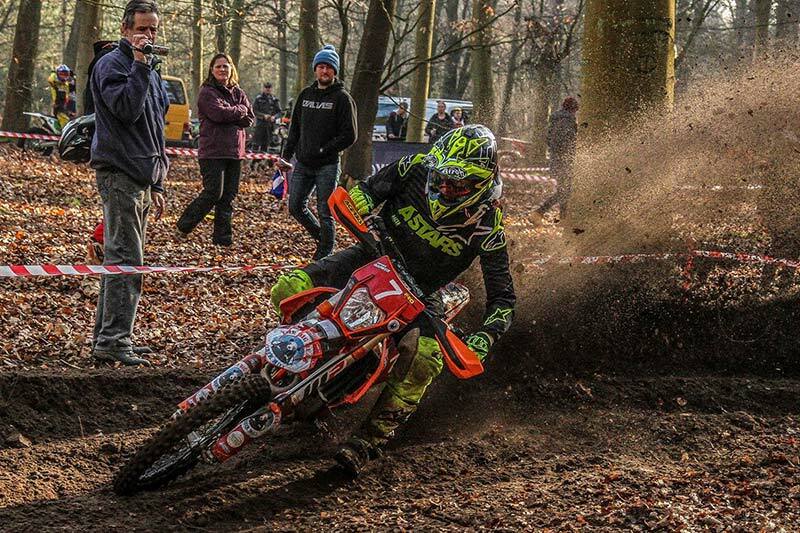 Championship – This is the top class, which has the fastest and most experienced riders. 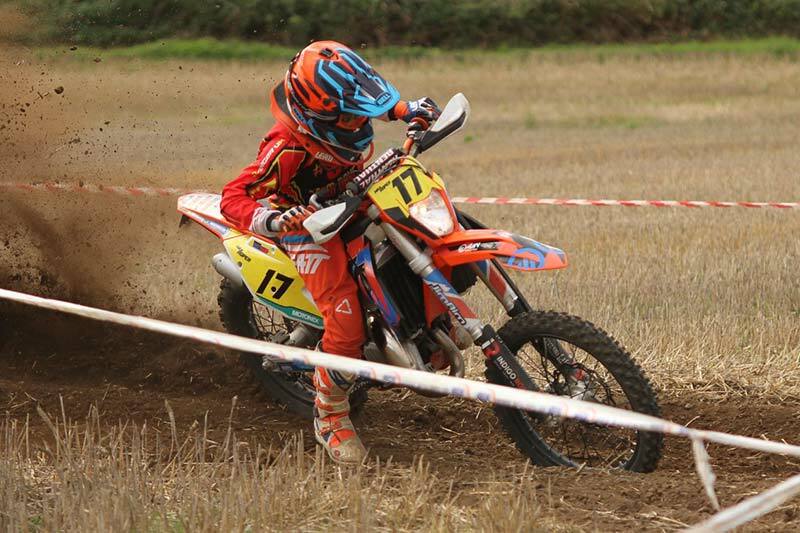 Experts – This will be up and coming riders trying to gain their championship status. Expert Vets – An over 40 class for the faster aging Enduro rider who still wants a challenge. Clubman – This class will normally comprise the majority of the field and has a diverse number of abilities and ages. If you have ridden before then this is probably the best class to start in. Novice – This class is for the beginner you will compete against people of the same speed and ability. In the Eastern centre events it is permissible to use a standard motocross bike or an Enduro bike (some events you will have to have lights front and rear). All bikes will have to pass a scrutineering test so must be in a race worthy condition. This means they will test things like wheel bearings, spokes, suspension and controls (throttle & brakes). They will also check you have the correct legible number on the correct background colour for your class. Importantly, no matter what bike you ride, in whatever class, it must fall below a noise limit (currently 94 decibels). This means regular repacking of the silencer. There are individuals and organisations who offer training in off-road motorcycling. As a club we are unable to recommend any individual or organisation. You will find information on training on the web, in the various publications relating to the sport and you can talk to other members for their personal recommendation. We organise occasional social events throughout the year for club members and their friends and families to get together. This includes the annual awards dinner dance held in January. This is always a fantastic evening with a brilliant atmosphere. The main purpose of the evening is to celebrate the achievements of our members with some prestigious trophies and awards in several categories. It is a great opportunity to celebrate with friends, family and other club members. Setting up events requires man power and we need club members to help with this. Typically there will be a work party the Saturday before the event and we need a minimum group of 10 people (two groups of five). We will request work parties via our web site and face book and by e-mail to members. We would be grateful if every member could try to attend one work party a year. One advantage of being part of a work party is that you do get to see the track before the race.